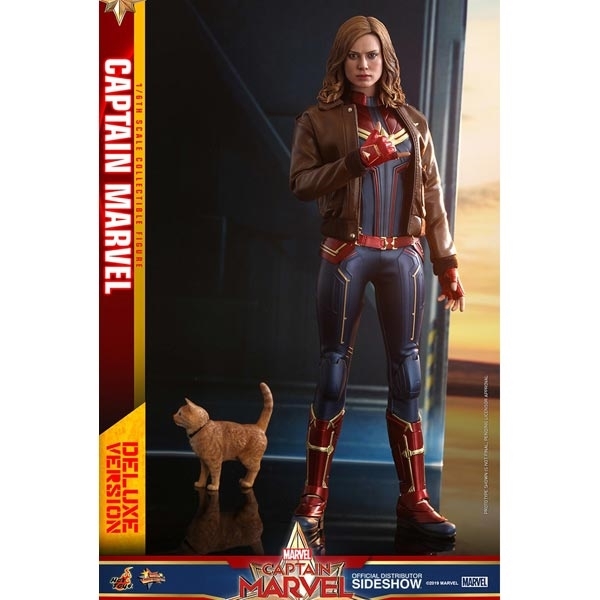 “I’m not gonna fight your war, I’m gonna end it.” While Captain Marvel is coming to theaters in less than a month, anticipation for this forthcoming installment in the Marvel Cinematic Universe is running exceptionally high. 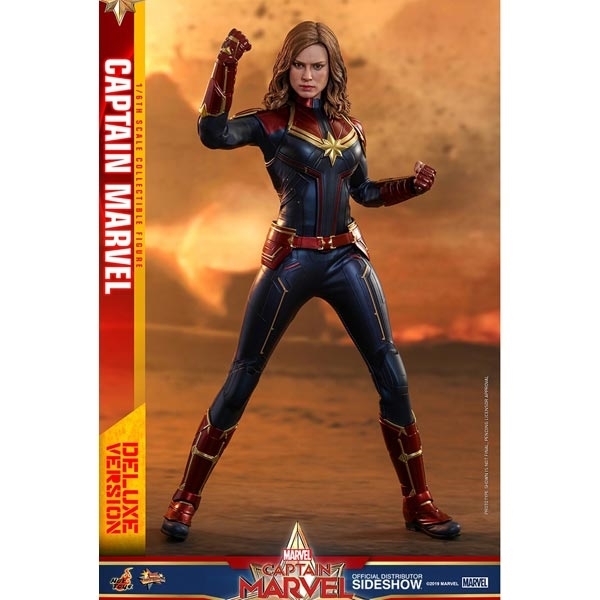 Being introduced at the post-credits scene of Avengers: Infinity War, Captain Marvel represents a key addition to the Earth’s mightiest heroes. 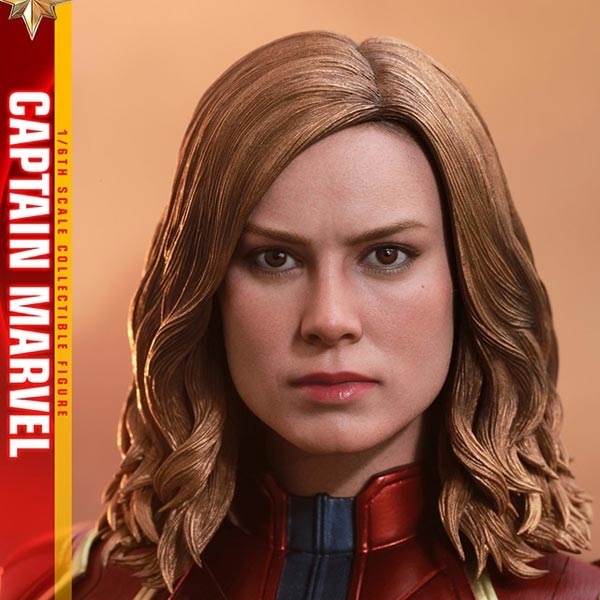 Today, Hot Toys is expanding Movie Masterpiece Series with the cosmic-powered hero Captain Marvel in 1/6th scale collectible figure which is eagerly awaited by millions of fans! 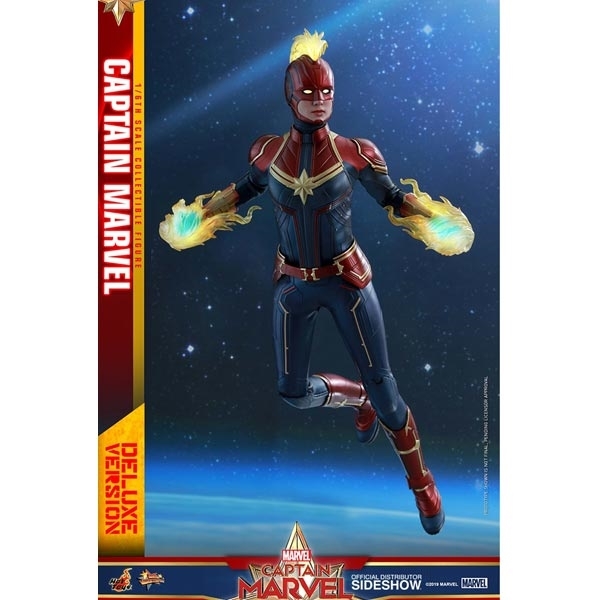 Go on an epic adventure with Carol Danvers – better known as Captain Marvel – a former U.S. Air Force fighter pilot with power to change the world. 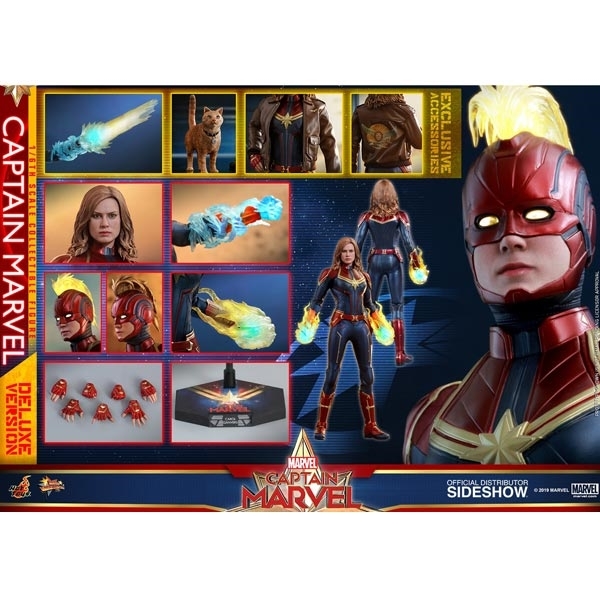 Expertly crafted based on the appearance of Brie Larson as Carol Danvers/Captain Marvel in the movie, the highly-detailed collectible figure features two interchangeable head sculpts including a newly develop unmasked head sculpt with amazing likeness and a newly developed helmeted head sculpt with LED light-up function that accentuates Captain Marvel’s superpower, two pieces of classic Mohawk hair sculptures, a newly developed body equipped with LED light-up function on both sides of the forearms, a skillfully tailored costume in metallic red and blue with a gold star emblem on chest, multiple energy-blasting effect accessories that are wearable on arms, and a movie-themed dynamic figure stand for aerial poses! The Deluxe Version will exclusively include Goose the Cat, a delicate Flight Bomber jacket and an extra pair of firing effect accessories to complete the style.